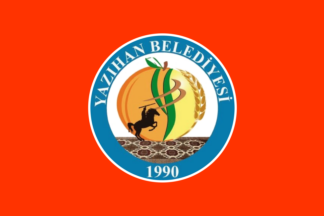 The flag of Yazıhan (photo) is orange with the municipality's emblem. 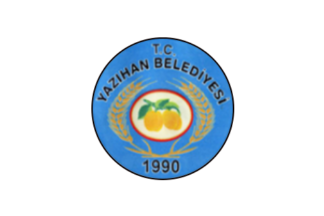 The former flag of Yazıhan (photo) was white with the municipality's former emblem. "Belediyesi" means "Municipality".